Let's develop a fantasy and steampunk economic system. Before we begin, we should list our goals. We have a bigger job than writing a price list for halberds and healing potions. First, these rules should be sensible. The setting needs enough cause-and-effect that the GM and Player can tell the same story, with similar expectations about what might happen next. Player decisions are the building blocks of the adventure, and those blocks need the solid foundation. Decisions and reactions should (usually) cause predictable outcomes. When the PC or villain reveals a magical item or stempunk device it should (usually) add to the flow of the story, not derail the flow with uncertainty. Second, these rules, like all worthwhile RPG rules, should create and resolve tension. If the hero or heroine wants to buy a magic sword or attack a well-equipped bandit camp, will it be successful? How do we know? The GM and Player are not just two people telling a cooperative story. By chosing the play a RPG they agree to pass a lot of decision-making authority to the game rules. This allows them both to enjoy the story more! They feel genuine suspense. They get to set goals and make plans. They get to see how exploring options, strategic decisions, and using up resources can allow greater success. They are content that whether or not the PC's desires were fulfilled the outcome was fair. Third, the setting should let the fantastic be unconstrained. Browsing the shelves at a magic item store—or looting the treasure of a major opponent—should reveal things wondrous, fanciful, mysterious, whimsical, and perhaps even sublime. This goal refines the previous goal: we somehow want to restrain the the impact of magic on society to predictibly follow cause-and-effect and sensible decision-making even if the effects of magic can be unpredictably creative and open to improvisation. Fourth, we want wealth to be rewarding. The core rules explain how the main reward for successful adventuring is increasing a character's skill and talent ratings. With experience and success a character becomes more capable when following the rules. Earning spendable wealth is a complimentary reward because the character can buy nifty stuff that allows him or her to bend or break the rules. Adventures are even more fun when the PC has some tricks up his or her sleeves! We begin with a humble coin. The wage for unskilled labor is 1 coin per five hours of work. So a full ten-hour workday pays 2 coins for unskilled labor. Thus a six-day work week of unskilled labor earns 12 coins. In terms of game mechanics, "unskilled labor" refers to a skill rating of 1. Skilled labor is, of course, more expensive. Each skill rating above 1 earns another coin per five hours. A typical trades-person would have skill rating 3 or 4 in his or her crafting skill. (Often using a skill such as farming, logging, carpentry, or pottery that is not among the usual list of character skills.) This person would earn 36 to 48 coins per week. As a guideline, a successful adventure should usually give the PC wealth in coins about equal to 25 times the number of skills for which the PC has a skill rating of 4 or greater. This wealth may all be found during the adventure as treasure, or partly paid as a concluding reward for work done well. So a new PC probably earns 75 to 100 coins for finishing his or her first adventure. This is about twice what we found for a week's typical skilled wages. A sensible amount, because adventuring is dangerous work. Also note that an adventurer deals with many types of intangible commodities. The PC might earn favors from influential people, access to pieces of restricted knowledge, hours spent in a restricted alchemy lab or machinits workshop. These are "extra" wealth beside the monetary rewards of adventuring. We can make sensible estimates for the value of metals based on the comparative frequency of metals in the earth and how mining techniques differ for various metals. Mining is unskilled labor. Mining a kilogram of copper requires 120 hours (half a month's work for one person). Mining a kilogram of zinc requires 180 hours, tin requires 800 hours, silver requires 1,200 hours, and gold requires 12,000 hours. Allow golem labor to be popular for moving mining carts, halving the amount of paid labor, and we divide those amounts of hours by ten instead of five to find the price of metal production. We want a coin to weigh a few grams. So our humble coin is actually 4 grams of silver. If we want, our setting could also use copper or gold coins of similar weight. Twenty copper coins would equal the silver coin. Ten silver coins equal a gold coin. Producing cast iron is skilled labor, requiring a Machinery skill rating of 2. Mining a kilogram of iron ore requires 200 hours, again with half the labor done by golems. To be simple, we dismiss any market for iron ore or pig iron by assuming all mining businesses make finished cast iron before selling. Realistically, metals would be sold with a price markup so mining companies could make a profit. But these are nice numbers, so we ignore that. Similarly, skilled smelting is vital but requires so little time compared to mining that it does not contribute significantly to the final cost of a metal. Brass is 70% copper and 30% zinc, plus a bit of skill 2 labor. Bronze is 80% copper and 20% tin, plus a bit of skill 2 labor. Making cast iron into wrought iron also requires only a bit of skill 2 labor. All these effectively cost a coin more than the appropriate combination of their materials. Now our hero or heroine has some silver coins! He or she will want to go shopping. Admittedly, this is a bit strange. The fantasy stories that RPGs claim to be based upon do not involve shopping. We never read about Conan buying a sword, Thorin a cloak, or Menolly a lute. The GM and Player should feel free to completely ignore the economy of mundane equipment! But many Players—especially children or those new to RPGs—will want to go shopping. Most fantasy settings have a few weapons or devices that do extraordinary damage (explosives, poisons, seige weapons, etc.). In 9P these are not "mundane" but are special items created with magic or technology. They are expensive, rare, and probably illegal to own and will cause trouble if a character is seen with them. They trigger cultural associations with the kinds evil people who have no interest in survivors: hired assassins, butchering pirates, mad inventors, and armies making seige. Note: I have very little personal experience with animal husbandry, mining, and medieval crafting. If you have the expertise to correct my inadequately-researched conclusions about the time or skill required for items, please contact me and correct me! Raw materials, such as the metals we already discussed, have a price that only depends upon the hours and skill required to produce them. First let's consider agriculture. We want the setting to be a more pleasant place to live than the historic Medieval period, with affordable food and heat. So let's assume golem labor can help with farming and hauling firewood. It requires 3 hours labor to farm enough flour for a loaf of bread, or to grow a kilogram of produce. Gathering a cord of firewood requires 8 hours. We again divide those amounts of hours by ten instead of five because of the golem labor to find the price of metal production. Farming and processing suffient grapes to make a liter of cheap wine requires 25 hours. Better wine would of course cost more. Although raising sheep, goats, or bees requires moments of skilled care, in general it is unskilled labor. A kilogram of honey or enough wax for 10 candles requires about 16 hours of labor. A goat or sheep requires about 100 hours of individual care. Flax crops are slightly pickier than wheat for soil conditions and weather. It requires about 20 hours total for the flax farming and weaving to make a rough linen shirt or meter of thin rope. Carding and spinning enough wool for one shirt requires about one-third of a sheep's wool, which does not use up the sheep but let's assume the shepherd can still charge about one-third of a sheep's worth for it. Add ten hours of unskilled labor for 6 + 2 = 9 coins. Oxen, cows, and horses require much more skilled care than sheep or goats. Assume 400 hours of skill 2 labor for an ox or cow, and 500 for a horse. We double hours (skill 2 labor) and divide by five to find the cost. Preparing enough leather for one shirt requires about one-sixth of an ox's hide. As with wool we ignore the other benefits of the ox to charge one-sixth of an ox's worth for it, and add a bit of skill 2 labor for the tanning process. Now that we have prices for materials, we can sensibly price crafted items. None benefit from golem labor. We combine the material cost with an appropriate labor cost. The above prices assume poor meals and horse feed are made with unskilled labor. Making a nice tavern meal, dried rations that will not spoil, or hard sugar candies requires a skill rating of 2. Creating fancy confections require a skill rating of 3. A basic tavern meal includes a third of a loaf of bread, a third of a kilogram of cooked vegetables, and third of a liter of wine. On cold days some of that flour will be used for noodles in a vegetable stew instead of bread. Poor meals suffice for bare sustainance, and represent what people eat in the slums. Most people in Arlinac Town spend about 1 coin per day on food, and cook their own meals. Dried Rations are biscuits and jerkey. They provide unsatisfying nourishment for hunters who do not want to light campfires. They are also eaten in small portions as snacks by people traveling with merchant caravans. Cheap clothing is thin wool made with unskilled labor. It is only sufficient for warm weather. Common clothing is thicker wool, still made with unskilled labor. It is what most people wear. Fancy and Elite clothing require a lot of wool, and its crafters need a skill rating of 3 or 4, respectively. Soft leather clothing is more durable that wool clothing. Crafting it requires a skill rating of 2. It is worn by traveling merchants and minstrels. A chain shirt is worn over a thick wool undershirt. It is often worn by watchmen who patrol city walls. Hard leather armor must be fitted to the individual. It is much more comfortable than metal armor, and worn by most guards and adventurers. All three types of light armor provde a 1-point equipment bonus to Block skill use. Soft leather clothing and the chain shirt are not fitted and cause a 1-point equipment penalty to Acrobatics skill use. Light armor can also provide a 1-point situational advantage if the opponent has no armor. These light armors can be made distinct if GM and Player agree to making combat more complicated. Soft leather clothing provides only provides protection from melee slashing attacks. Only the chain shirt helps protect against projectiles. Only hard leather armor provides protection against melee stabs aimed at the legs. Ringmail and scale armor both augment soft leather clothing by attaching pieces of metal. The use of rings versus scales is less significant than how traditionally scale armor uses much more metal with much more overlap. Elite guards and mercenaries wear these armors. Plate armor is solid plates molded to the body, held together by leather straps which are covered by metal. This is the most protective of armor, but is incredibly expensive. All Plate armor is fitted: it is impractical to try fighting in Plate armor made for someone else. It is only used by a few gate guards. All three types of heavy armor provde a 1-point equipment bonus to Block skill use. Ringmail and scale armor are not fitted and cause a 2-point equipment penalty to Acrobatics skill use. Heavy armor can also provide a 1-point situational advantage if the opponent has light armor, or a 2-point situational advantage if the opponent has no armor. These heavy armors can be made distinct if GM and Player agree to making combat more complicated. Ring mail does not protect against projectiles. Plate armor provides the 2-point situational advantage even when an opponent has ringmail or scale armor. Sleep is not as restful when wearing armor. A character who sleeps in armor suffers a 1-point equipment penalty when using the Acrobatics/Climb, Melee/Press, and Block/Dodge skills until he or she is able to sleep properly. A special item is a fun piece of equipment with nifty powers. In a fantasy setting like Spyragia a special item might be a magic potion, flying carpet, or dancing sword. In a science fiction setting a special item might be a nanotech restorative, a personal levitation belt, or an electrified net launcher. Three meta-rules govern the crafting of special items. First, special item effects do one thing. A pair of glasses might allow the person wearing them to detect poison, or criminals, or Ogres. But if those glasses detected all three things, with separate color-coding for each, then that special item is actually doing three things. To be fair, that combination item should be crafted and priced as if it were three different special items. Second, special item effects cannot do what talents do. Talents are slow to advance and allow characters to gain new and different abilities. To be fair, another character cannot gain the same benefits just by shopping at the magic item store. Third, special item effects cannot directly target creatures other than whomever uses them. This constraint is not actually very limiting. Almost all classic magical items and science fiction gadgets that do target creatures do so indirectly by affecting the environment or using projectiles. To be fair, special items should succeed or fail using the same rules (elusion ratings for environmental dangers, successful use of the Shoot/Throw for projectiles) as other equipment. Consider a duelist that wants to use a special item to injure a distant opponent. A boring game would have a special item that damages the person it effects. It is more interesting if the item lobs acid or fire, shoots icicles, conjures a cloud of blades or swarm of wasps, etc. Consider a character that wants to send a message to the king in a nearby city. A boring game would have a special item that delivers a message directly to the recipient's mind telepathically. But it is more interesting if the item is a tiny mechanical rocket or enchanted origami bird that quickly travels through the air, incense sticks whose smoke spells out words, vapor that travels to the destinate and forms cloud letters, etc. Alchemy can always provide an indirect way to target a creature. A character can use a potion to talk to a bear, turn a friend invisible, cure the mayor's disease, or help a baby sleep through the night. Effects such as mind control, paralysys, or polymorph can still be a part of the story. The special item could zap the opponent with an aimed beam or create a cloud of gas the opponent fails to elude. Or the story could include an opponent who is already defeated and forced to drink a potion. Adventuring becomes annoying if the game needs additional rules about defending against special items. In some games every important character needs to have magic resistance or anti-nanotech shielding, defense against thought scanning, and a prepared counterspell or EMP field to negate an especially dangerous incoming attack. These passive defenses are not fun. They are extra bookkeeping. They risk making adventures too risky for a solo adventurer who might get charmed or polymorphed because a certain seldom-used type of defense proved lacking. It is advised that 9P stories do not include "divinations". Many fantasy stories include objects or rituals that predict the future, or in other ways learn what is not normally knowable. Wizards scry with crystal balls, sages read the future in tea leaves, and necromancers make corpses answer questions. Although divination magic can work well in a story we read, it is difficult to do well in a two-person role-playing game. Plots about solving a mysteries or gathering information from an enemy stronghold get ruined by this kind of magic. It makes no sense to limit the kind of adventures the GM and Player can enjoy just because the PC has become highly skilled with magical crafting. All special items use an impact rating that depends upon four factors to measure how intense and powerful an effect they produce. Does the effect merely provide a small bonus to skill use? Or dramatically change the scene in a way that decisively determines how an encounter resolves? Having rules for measuring impact rating empowers the Player and GM to do freeform special item design. The Player and GM can invent and design any kind of effect. These rules will allow them to know how much character skill would be needed to craft such an item, and how to determine an appropriate retail cost. The first factor that determines impact rating is possibility. Many special items cause an effect that could theoretically be produced by expensive mundane equipment, but a special item is used for immediacy or convenience. The special item heals as well as the best mundane herbs or medicines, or heats or cools as well as a stove or block of ice, or protects someone as well as the best armor, or makes an area deadly like a thick smoke cloud or vat of boiling oil. Those effects add 1 to the impact rating. Smaller effects only duplicate what inexpensive mundane equipment can do. They kindle a fire, provide as much light as a torch or flashlight, provide a meal's norishment, etc. These add −1 to the impact rating. Another option is that an effect duplicates what would only require inexpensive mundane equipment, but realistically require a very long time. These effects instantly befriend domestic animals, spin wool into yarn, season firewood, etc. They add 1 to the impact rating. Effects that are mundanely impossible are the most dramatic, wondrous, and fun. These add 3 to the impact rating. The second factor that determines impact rating is the effect's area. Other effects fill an area or volume whose maximum size depends upon the type of special item and the crafter's skill. These add 2 to the impact rating. An intermediate alternative is available because magic likes circles. An effect can fill that same area or volume, but only after the character using the special item carefully draws a circle that bounds and contains the effect. That adds 1 to the impact rating. This also applies to a device that must be physically set up to affect an area before its effect can be started (machinery items that work as traps are of this category). The third factor that determines impact rating is the effect's convenience. The most convenience effects do not require any preparation and might cause their effect far from the character using the special item. The maximum range depends upon the type of special item. Very convenient effects like these add 2 to the impact rating. Less convenient are effects with a delayed start that also might have range. The delayed start could be a gas spreading, a machine warming up, a long chant to help a transmuticist concentrate, etc. Those effects add 1 to the impact rating. The fourth factor that determines impact rating is how many losses are caused or cured. Effects that do not cause or cure losses add 0 to the impact rating. Other effects can cause losses, but only based upon the same skill use than mundane equipment would use. These also add 0 to the impact rating. They do not change how much damage a character can do. If someone prefers to craft or buy a wand that shoot icicles, instead of using a bow and arrows with the same effects, then it is inexpensive to do so. Special items with more damaging effects either determine the outcome of a situation completely, or nearly so. An effect that causes enough damage to bring the opponent down to its last major loss, so one more bit of damage will win the conflict, adds 3 to the impact rating. The most potent effects decisively win the conflict themselves, and these add 5 to the impact rating. Similarly, special items that cause or cure permanent harmful conditions such as blindness, paralysis, or being turned to stone add 5 to the impact rating. The four factors are color-coded here and in the upcoming section of sample special items. Possibility is purple, area is avacado, convenience is crimson, and losses are lavender. A special item's cost depends upon its impact rating. The chart lists the minimum retail price of each use of the item, in coins. The crafter need only pay half that amount as a crafting cost. The crafting method used does not alter the price. However, the different crafting methods do use the required crafting cost in various ways, as explained in the appropriate skill descriptions. Most special items are sold at their minimum retail price. However, crafters with higher skill can sometimes create special items that effect a larger area. Sometimes there is enough demand for these superior special items to allow their crafters to sell them at a higher retail price. 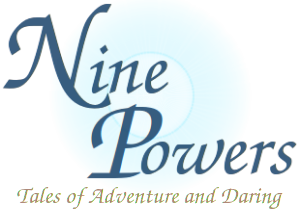 The 9P sample setting of Spyragia includes five skills that can be used to craft special items: alchemy, machinery, musing, tempering, and transmutery. A character that wants to fly could drink a flying potion, use a backpack-helicopter machine, expend one charge of a cape of flight, be lifted by mentally controlled air currents, or attach air-crampons to his or her boots. The five methods have various pros and cons. If a special item causes a dangerous environmental effect, the elusion rating will be equal to the impact rating, using one or more appropriate skills. The retail price for alchemical products might be divided among the items of one batch. A potion that allows the drinker to fly for 3 hours costs the same as three potions that allow the drinker to fly for 1 hour. The process of crafting a special item never benefits from a group bonus or the use of Bravado. Only three kinds of modifiers are normally allowed. First, the GM and Player might agree that a certain very powerful recipe requires an ingredient so rare that obtaining it must be the goal of a quest. Alternately, a certain very powerful recipe might be too tricky to create without a rare location that is the goal of a quest (gaining access to the royal alchemy laboratory, or using research and obscure equipment to find the place where three ley-lines converge). Those types of extra requirements could each provide a 1-point equipment bonus. Second, the GM and Player might agree that a character background provides extra training or experience in a specialty (locksmithing for machinery, fire magic for transmutery, detection magic for musing, etc.). Crafting an item with that effect would have a 1-point situational advantage bonus. Finally, the rules assume special item crafters follow a clear recipe or procedure, either memorized on written down. If the crafter is improvising they suffer a 2-point situational disadvantage penalty. This penalty is reduced to a 1-point situational disadvantage penalty if the crafter has a prototype to reverse engineer, or if they are using transmutery which is inherently more improvisational. The item's cost and elusion rating are not changed by the above bonuses or penalties. A special item is not more valuable or dangerous merely because a lesser skilled crafter needed to get access to the royal laboratory or a bowl of dried monster tongue, when a more appropriately skilled crafter could make an identical item at home with garden herbs. Here are some sample fantasy special items. Within an adventure most would have more interesting and fun names. But simple names are best for making a web page of rules searchable. Potions are crafted with alchemy. The alchemist must prepare them a lab, and once used they have a delayed start (convenience is always 0). Their special effect only affects the creature who drinks them (area is always 0). Not many potions cause harmful area effects, but those that do have an elusion rating. As always, elusion ratings are written in square brackets. Flasks are crafted with alchemy. The alchemist must prepare them a lab, and once used they have a delayed start (convenience is always 0). Many flasks cause harmful area effects, and thus have an elusion rating. As always, elusion ratings are written in square brackets. Tools and Weapons crafted with tempering must also be prepared in advance, in a smithy or other appropriate workshop (convenience is always 0). Their special effect appears soon after the crafting process is finished. Many of these items are crafted so that their special effect is suppressed when the tool or weapon is put away. A sword pommel that sticks to your hand could prevent being disarmed, but the wielder will want that benefit to end when the sword is sheathed. A few tempered items require concentration to turn the effect on or off. A walking stick that hums loudly when its owner is standing on a weak floor or ledge might help an adventurer explore a cave, but turning that special effect off would be wise before trying to sneak past a dangerous monster. Wards are circles (area is always 1) whose special effect is triggered when a creature crosses their boundary, unless that creature overcomes their elusion rating. Wards can be drawn with alchemical ingredients, built with machines and trip wires, drawn artistically and enchanted with musing, or created with the concentrated willpower of transmutery. The choice of crafting skill determines their duration and maximum radius. Most wards are used as traps, so the crafter does not mind if their effect only begins after a short delay (convenience for non-alchemical wards is very often 1). The enchanted Artwork crafted using musing has "charges". Each charge lasts until the next midnight. The piece of enchanted artwork vanishes after the final charge ends. Musing has few other restrictions. Its magical effects can affect a large area and/or happen far away. The example items below that do not have range are assumeed to be crafted as inexpensively as possible: a location such as a magic shrine or ley line crossing is used to allow the item a convenience of zero. These items would have one higher impact if created away from such a noteworthy location.